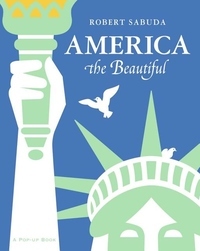 Master paper engineer Robert Sabuda has interpreted the classic American anthem "America the Beautiful" in dazzling dimension. From the Golden Gate Bridge to Mount Rushmore to the Statue of Liberty, America has never looked more spectacular. This stunning keepsake masterpiece will be shared and admired by generations to come; indeed it is a national treasure in and of itself.